You will be redirected to the new blog shortly. Diaa Bekheet | Washington, DC – American singer and songwriter Kat Edmonson is a rising jazz star. The unique musician has been writing songs since she was nine years old. The amazing thing is that Edmonson doesn’t master any instruments. “I compose the music in my head usually and then I go figure out what the chords are later,” explains the jazz sensation in an interview with VOA’s Jazz Beat (mp3). Edmonson grew up as an only child with a single mom. She spent a lot of time daydreaming and avidly absorbing her mother’s collection of old movies, musicals and records. Edmonson admits those “standards” from her childhood had a strong effect on her – especially those of Frank Sinatra, Fred Astaire, Gene Kelly, Judy Garland, various jazz artists, The Beatles, and Motown artists. “So, I became very familiar with that repertoire,” she says. Edmonson has performed with country superstar Willie Nelson, opened for Smokey Robinson, and toured with Boz Scaggs and Lyle Lovett. She has released two albums: Way Down Low which went on sale this year, and Take To The Sky which came out in 2009. According to her official bio, Take to The Sky is an homage to songwriters. 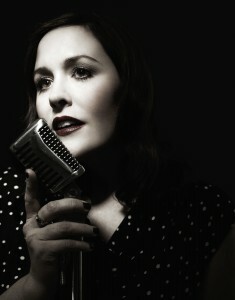 Edmonson says her first album was “me trying to question what a standard actually is, and what popular music is; taking tunes and using them as canvases for self-expression.” On the record, she re-interprets such storied works as “Summertime” along with more recent pop gems such as The Cardigans’ “Love Fool” and The Cure’s “Just Like Heaven”. Diaa Bekheet | Washington, DC – The legendary American jazz pianist Dave Brubeck, one of the most exciting names in music, will celebrate his 92nd birthday on December 6. Due to medical tests, Brubeck was unavailable for an interview with Jazz Beat, but Russell Gloyd, his producer, manager and conductor for the past 35 years said the iconic pianist is still committed to daily practice. According to Gloyd, the group just released a 19-CD box set which covers all of the studio recordings of the classic Brubeck Quartet. “And we are now starting to look at doing another box which will exceed 19 CDs – which would be featuring all live recordings,” he said. Columbia Records released a double album set on Dave Brubeck’s 90th birthday in 2010. 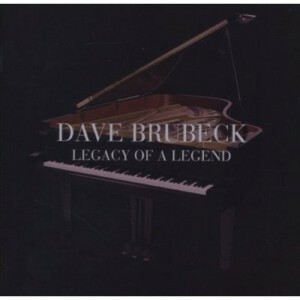 Legacy of a Legend features influential pieces in jazz history recorded between 1954 and 1970. It includes vocal collaborations with jazz legends like Louis Armstrong, Jimmy Rushing and Carmen McRae. The last time Brubeck talked with VOA was in 1990, backstage at the JVC Jazz Festival in Saratoga Springs, New York. In an interview with my colleague Doug Levine, the legendary pianist explained how jazz started as a cry for freedom. I played Brubeck’s music frequently on Jazz Club USA, a music show I hosted for 10 years for enthusiasts in the Middle East. He is best known for the hit “Take Five,” from his top-selling album Time Out. 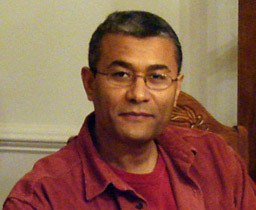 The song was frequently requested by listeners in Morocco, Tunisia, Algeria, Libya, Egypt and Iraq for dedication to family and friends. “Take Five” was first released in 1959 and became the best-selling jazz single of all time. It was written by Brubeck’s long-time music partner, alto saxophonist Paul Desmond. It has been included in a new two-disc collection of other familiar classics such as the “Blue Rondo a la Turk” — inspired during a Brubeck tour in Turkey in 1958 — and “Pick Up Sticks”. At the time, Brubeck was America’s jazz ambassador, named by the U.S. State Department. The legendary pianist and his Quartet have also toured the Middle East, Africa, Eastern Europe, and Asia. Another hit song that contributed to Brubeck’s worldwide fame is “Unsquare Dance” from his album Time Further Out. “It was a huge hit in France,” noted Gloyd. Brubeck, who was featured on the cover of TIME magazine in 1954, has also composed orchestral and sacred music. In addition, Brubeck wrote soundtracks for television shows such as Mr. Broadway and the animated mini-series This Is America, Charlie Brown. The soon-to-be 92 Dave Brubeck is still going strong! He is often saluted by a standing ovation during his emotionally-charged performances. 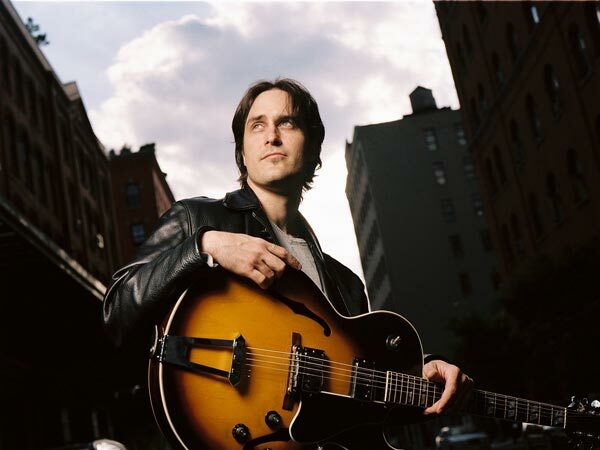 Diaa Bekheet | Washington, DC – Acclaimed American jazz guitarist Jonathan Kreisberg has just finished recording a new album titled One. It will be released in Europe next month, and in the United States in January 2013. One will also be released in German on vinyl on November 1. Kreisberg performed last week with iconic pianist Lonnie Smith at the Kennedy Center in Washington D.C. He is part of Dr. Smith’s new album, The Healer, which is coming out soon. Kreisberg says he always wanted to record a solo album, but felt a bit intimidated. “I’ve long loved and been intimidated by the idea, which is to put out an all solo guitar record comprised of only single performances. In other words, no tracks and no loop or anything – just solo guitar,” said Kreisberg during an interview with VOA’s Jazz Beat. 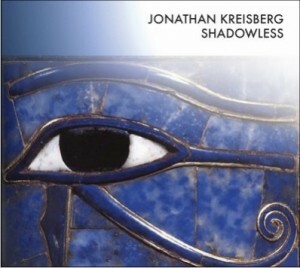 Jonathan Kreisberg was born in New York City and grew up listening to his parents’ wide-ranging record collection. Kreisberg started playing guitar at the age of 10. He studied jazz and showed spectacular talent – according to his teachers — to the point that he was featured as a young promising guitarist in Guitar Player and DownBeat magazines. He later won a scholarship to the University of Miami, where he held the guitar chair in the acclaimed Concert Jazz Band. Kreisberg had the opportunity to tour Brazil and perform with Joe Henderson, Michael Brecker, and Red Rodney during his tenure. Ancient Egypt’s Eye of Horus (Shadowless album cover). Listen to the interview to learn why Kreisberg used it. Kreisberg is now establishing himself as a major new voice on the international jazz scene. He recently returned from a one-month tour in South America. In 2008 his quintet played an electrifying set on the main stage at Jazz Baltica. He also completed successful tours of Spain, Portugal, Denmark, Finland, Italy, and Japan, where he featured talented Japanese trumpeter Tomanao Hara. Kreisberg has successfully released eight albums so far. Diaa Bekheet | Washington, DC – Three-time Grammy winner and jazz legend Ramsey Lewis is going to host a new television show about jazz music. Lewis told VOA’s Jazz Beat that he does not know when the show will air on the PBS network. “I’m in talks right now during this period of time to start another show on public television. And I’m looking forward to that,” said Lewis, who hosted the extremely popular radio and television show “Legends of Jazz”. The show aired in about a 100 American cities and on some of Europe’s top affiliates. Lewis talked with Jazz Beat about his music and new projects, including his 80th album titled Ramsey Lewis Taking Another Look (Download the show). Lewis has been fascinating audiences with his performances since he was 15 years old when he began playing piano for the jazz band The Cleffs. He first rose to prominence in 1965 when three of his compositions: “The In Crowd,” “Hang on Sloopy” and “Wade in the Water” were big hits on the song charts. Here’s a profile of Ramsey Lewis on VOA’s Jazz Club USA [Arabic Download)] broadcast in 1998 when he released his album Dance of the Soul. Many musicians and artists have been influenced by Lewis. He is considered one of the top pianists worldwide. During an interview in Egypt, I once asked jazz legend Dizzy Gillespie to name three of his top jazz pianists. He put Lewis third after Duke Ellington and Art Tatum. “I can’t say [Tatum] influenced me to the point where I could play like Art Tatum. I don’t think anybody can play like Art Tatum,” added Lewis, who said during his childhood years, he was highly influenced by classic masters like Wanda Landowska and Vladimir Horowitz. 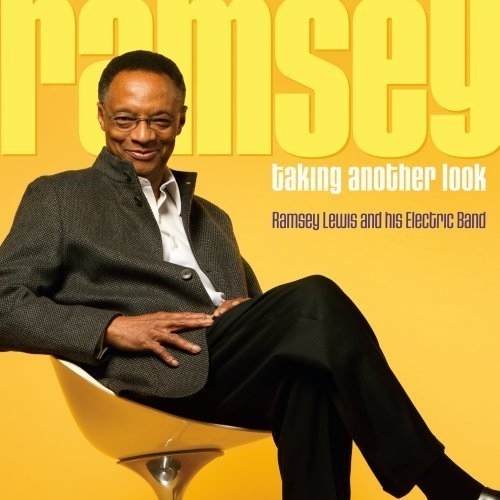 Ramsey Lewis is now part of the Ravinia Outreach program which includes professional jazz musicians touring the United States to introduce children to the fundamentals, history, and tradition of jazz. The program’s motto is: “Reach, Teach, and Play”. Lewis’ 80th collection and latest album, Taking Another Look, was released a year ago. It showcases 10 songs with his Electric Band and re-works many of Lewis’ favorite tunes, including “Sun Goddess” and Stevie Wonder’s “Living for the City”. Diaa Bekheet | Washington, DC American actress and singer Rachael MacFarlane is releasing her new album Hayley Sings Tuesday. It showcases 14 jazz, blues and Big band oldies from the 1960s and 1970s reimagined for more contemporary audience. I talked with MacFarlane about the album’s collection of jazz and pop standards, and asked her why she is revisiting those years. MacFarlane also talked about her music career, and answered some questions from Jazz Beat international audience in Alexandria and Cairo, Egypt, and in Dubai, the United Arab Emirates. Two songs, “Someone to Watch Over Me” and “Makin’ Whoopee,” will be included on the September 30 season-opening episode of Fox TV’s American Dad. Rachael Ann MacFarlane was born on March 21, 1976. She’s best known for her appearances in Codename: Kids Next Door as supreme leader Numbuh 362 and the FOX animated series Family Guy and American Dad. Diaa Bekheet | Washington, DC – In the early 1970s, jazz fusion gained popularity when American saxophonist Wayne Shorter, Austrian-born keyboard player Joe Zawinul, and Czech bassist Miroslav Vitous formed the jazz band Weather Report. The group played their hit song “Birdland” live at Stadthalle Offenbach Concert in Germany, in 1978. The jazz-fusion instrumental composition was written by Zawinul using brand new elaborate musical technology that incorporated a Polyphonic synthesizer and new forms of amplification. “Birdland” debuted in 1977 on the group’s 7th studio album, Heavy Weather. It hit stores a few weeks after the group hired bassist Jaco Pastorius. The award-winning song became known as a jazz standard, and attracted huge media coverage, propelling Weather Report into fame on the jazz scene. Birdland’s popularity drove other musicians to license it for their set lists, among them: Quincy Jones, Buddy Rich, The Manhattan Transfer, Maynard Ferguson’s big band, and The String Cheese Incident. In 1994 I profiled Weather Report on my Jazz Club USA show to the Middle East [mp3 here]. I think the group was definitely one of the pre-eminent jazz fusion bands. 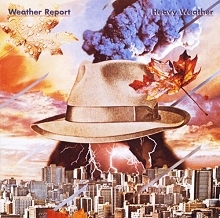 Weather Report grouped other acclaimed musicians, including Jaco Pastorius, Victor Bailey, Peter Erskine, Airto Moreira, Omar Hakim, Alphonso Johnson, and Chester Thompson. Through his skills and melodic bass quality, Pastorius helped to further push the group’s popularity. But to many fans’ dismay (including me) in 1987, Weather Report was no more. The group disbanded. 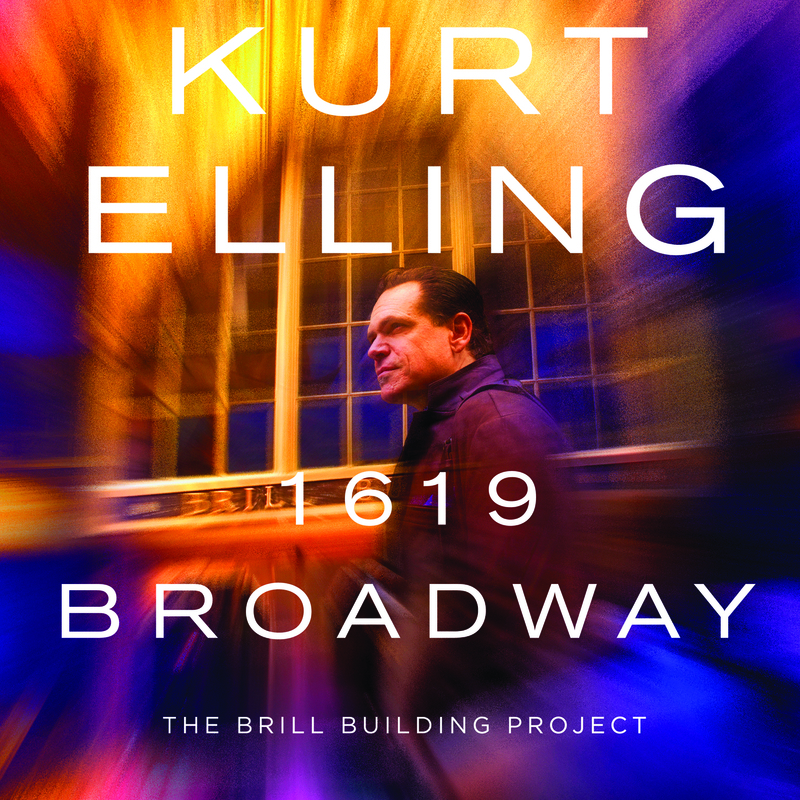 Diaa Bekheet | Washington, DC – Grammy-winning singer-lyricist Kurt Elling is getting ready to release his much-anticipated new album 1619 Broadway. The title refers to the address of the 81-year-old Brill Building on 49th Street in the heart of midtown Manhattan, in New York City. In its heyday, the building was home to the world’s best songwriting teams who would compete to outdo each other constantly. The new album showcases 11 Great American standards as interpreted and arranged by Elling, including “On Broadway,” “A House Is Not A Home,” “So Far Away,” and “Pleasant Valley Sunday.” Download Jazz Beat. 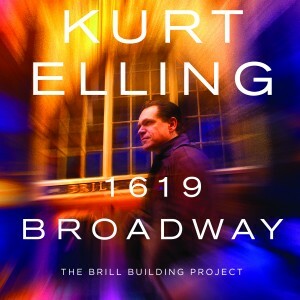 1619 Broadway is Elling’s 11th album. He started writing music and lyrics about 20 years ago. His music heroes include Mark Murphy, Joe Hendrix, Joe Williams, and Stevie Wonder. Diaa Bekheet | Washington, DC – When American jazz legend Charlie Byrd lived in Paris in the 1940s, he adapted the popular song “Un Homme et Une Femme” or “A Man and A Woman” for the American audience. In my view, “Un Homme et Une Femme” by Francis Lai is one of the all-time killer songs for lovers. A close friend of mine from France reminded me about this romantic song, which is responsible for melting many hearts under the Eifel Tower (La Tour Eiffel) in Paris, city of romance! She is planning to start a blog featuring great love songs. In 1945, while living in Paris – the city of love and romance – Byrd fell in love with jazz. After returning to the United States in 1950, he studied jazz theory and composition at Harnett National Music School. His studies gave him the skills to fuse jazz, blues, classical and Latin styles. Byrd is credited with pioneering Brazil’s Bossa Nova music, which stole America’s heart. He will always be remembered for Bossa Nova recordings such as “Jazz Samba” which introduced the Brazilian music style to American audiences. Just before he died in 1999, Byrd was honored as a Knight of the Rio Branco by Brazilian government. In addition to Bossa Nova, the prolific guitarist has left a legacy of more than 100 albums over a career spanning five decades. When Charlie Byrd died in December 1999, I produced a special obituary for him on my show, Jazz Club USA (Arabic mp3). 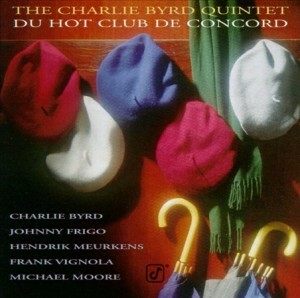 I remember listening to another great Charlie Byrd song when my brother returned home from Paris with an album (a vinyl record) titled Du Hot Club De Concord. The song is “Moon River” a rare recording of Charlie Byrd playing live at the Concorde (‘Place de la Concorde’), the largest thoroughfare in Paris, near the Champs–Élysées (mp3 here). Byrd travelled to Italy in 1954 where he studied with the great Spanish classical guitarist Andres Segovia. Upon returning to the States, he worked with famous American musicians such as Stan Getz, Herb Ellis and Barney Kessel, and Brazilian Laurindo Almeida who blended classical with jazz, into a style that gained popularity among jazz fans. In 1983, Byrd and Almeida released a joint album titled Latin Odyssey. Byrd’s career continued to flourish from the late 1950s until his death in 1999 at age 74. Diaa Bekheet | Washington, DC – In 2007 I traveled to Paris, France. One of my main goals was to visit the ‘Place de la Concorde’ where there is a 3200-year-old ancient Egyptian obelisk which was placed there in the 19th century. From this marvelous location you can also gaze upon the Arc de Triomphe” and La Tour Eiffel. Of course, it’s normal to hear French music everywhere, but that day, I heard a song that caught me off guard. “I know this one indeed,” I said to myself. “Wow, that’s “Summertime” by Miles Davis, one of the most influential jazz musicians of the 20th Century. I asked a young lady if the American jazz legend was known in France. “Bien sure, (of course),” she responded enthusiastically. “J’aime beaucoup Miles Davis,” she smiled. The French government awarded Miles Davis the Chevalier de la Legion d’Honneur in July 1991, for being a perpetual jazz innovator. 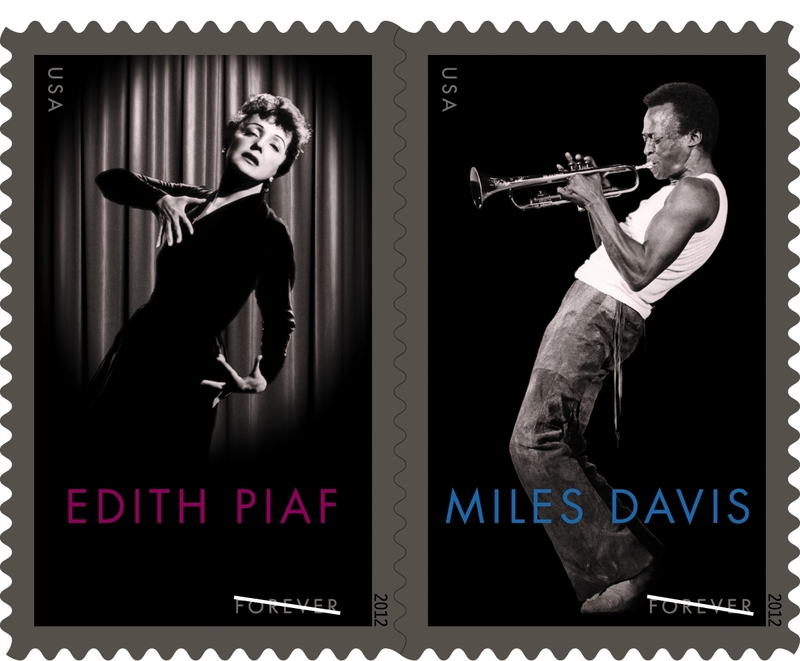 Last June, the U.S. postal service and its French counterpart released commemorative stamps honoring the two music legends: Miles Davis and Edith Piaf. Davis and Piaf appeared on the June issue of Forever stamps. They also appeared on the cover of the U.S. Postal magazine “Philatelic.” The stamps are now sold in the United States and in French postal services. The stamps commemorate the accomplishments and contributions of Davis and Piaf throughout our music history. Davis and Piaf have left indelible marks on the music stage worldwide.